Henry Holt & Company, 9780805094558, 292pp. Coming of age in the patrician neighborhood of Pasadena, California during the 1960s, Rebecca Madden and her beautiful, reckless friend Alex dream of lives beyond their mothers' narrow expectations. Their struggle to define themselves against the backdrop of an American cultural revolution unites them early on, until one sweltering evening the summer before their last year of college, when a single act of betrayal changes everything. Decades later, Rebecca's haunting meditation on the past reveals the truth about that night, the years that followed, and the friendship that shaped her. 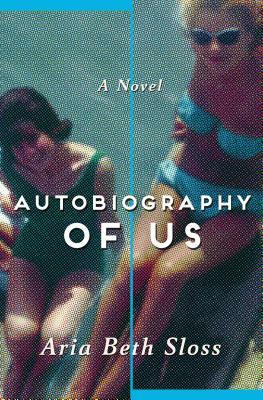 "Autobiography of Us" by Aria Beth Sloss is an achingly beautiful portrait of a decades-long bond. A rare and powerful glimpse into the lives of two women caught between repression and revolution, it casts new light on the sacrifices, struggles, victories and defeats of a generation. Aria Beth Sloss is a graduate of Yale University and the Iowa Writers' Workshop. She is a recipient of fellowships from the Iowa Arts Foundation, the Yaddo Corporation, and the Vermont Studio Center, and her writing has appeared in "Glimmer Train," the "Harvard Review," and online at "The Paris Review" and "FiveChapters." She lives in New York City.